Debunk myths that make differentiation seem impractical and impossible. Differentiation is more than strategies and more practical than a pedagogical ideal. Here is a companion post to my presentation for the ASCD Conference. This article and the list of referenced articles at the end debunk myths about Differentiation with solutions that offer success to diverse learners under challenging conditions. My book addresses these challenges and more: So ALL Can Learn: A Practical Guide to Differentiation. Be empowered to make real change through differentiation. Is Differentiation just too difficult? One of the biggest illusions is that Differentiation can’t be done under the conditions that many teachers find themselves with various challenges, such as class size, shorten time, and curriculum constraints—just to name a few. Yet the reality is that differentiation happens all the time. Differentiation occurs during lessons when a teacher answers questions from individual students to help them understand the content and skills, provide different choices for how work can be done, or change instruction in the middle of the lesson because too many learners are either not understanding, or already know the content. In-the-moment support is Intuitive differentiation. Like a practitioner of a martial arts school or an RPG gamer, Differentiation has many levels of complexity and skills. Intuitive practice is the beginning level. The next levels of growth relates to Intentional Differentiation, which is where pre-planning occurs. Teachers analyze students’ needs based on assessment data, and craft learning experiences that meet their needs. Another place to look are researched strategies that have an impact on improving learning. Consider the 9 Strategies from Classroom Strategies that Work. Each of the 9 strategies can be differentiated based on the needs of learner groups and individuals. Use charts to compare and classify, i.e. 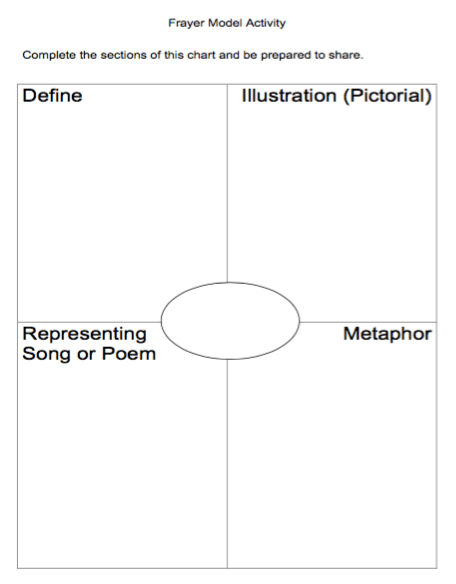 Venn Diagram & Comparison Matrix, or create metaphors. Use oral or written summaries, or a combination via Think-Pair-Write. Craft images or diagrams (nonlinguistic representations) that capture the key ideas. Teach 3 forms of note taking, and allow students to choose the one they prefer. Maintain learning portfolios that students use to reflect on their growth based on academic criteria. Use Growth Mindset language to encourage students via their achievements and growth. Provide purposeful practice as homework that addresses specific needs of students for academic growth. 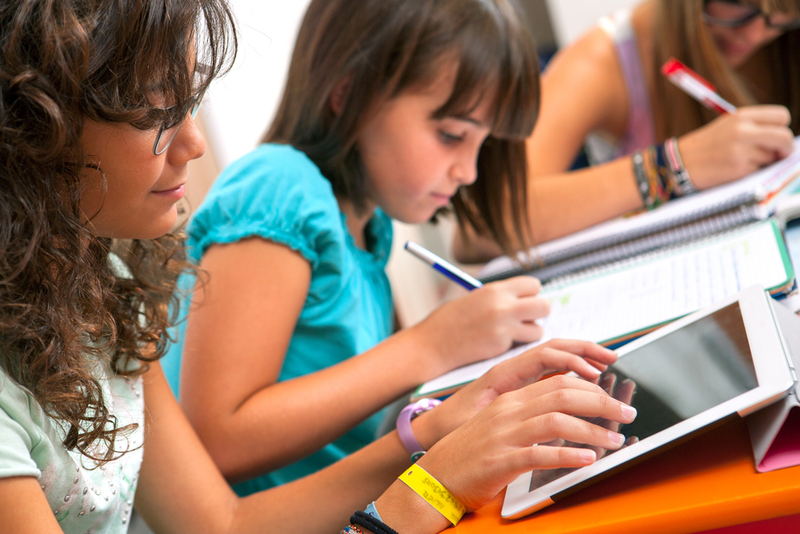 Homework is leveled to each student’s skill level needs. Work in cooperative or collaborative groups, explore labs, scenarios, and case studies that are tiered to different readiness groups of students. Use a variety of advance organizers, or provide a advance organizer pre-filled to different levels based on the needs of students, coach students on the Question Formulation Technique, practice both “wait” time and “think” time. Are Learning Preferences relevant for learning, if they even exist? Sit in any classroom lesson or professional development. It becomes obvious that people have preferences for how they learn. Depending on the mode(s) of instruction used, watch for who is focused and engaged. Also notice who are not. People’s engagement can shift through the course of a lesson or activity. How we provide experiences that incorporate ways of processing and understanding content and skills is crucial to meeting the goal of all students learning. How we include learners in the conversation and task formations acknowledges the preferences of our students. There are many approaches and inventories to choose from. Cross-train by using at least two approaches for collecting data about learners—such as Robert Sternberg’s Triarchic Theory and Meyrs & Briggs. This form of planning ensures that students are not identified as having only one learning preference, when the reality is far more diverse. Consider strategies like Learning Profile Cards as start to incorporating the Interests and preferences that students have about their learning. Explore ways to provide learning experiences that address concepts in multiple ways based on learning preferences. For example, Frayer Model, Thinkdots, Task Cards, and Learning Menus. There is no time to Differentiate? Time is an interesting challenge. Most educators who raise the issue of time also express strong agreement that differentiation is important for learning. If all students should learn and grow is a a priority, but is lost in the feeling that there is not time to implement, then how is time used? One answer is teacher-led instruction where the educator ensures that curriculum is covered within the limited time. We all feel that conflict of getting across content inside a time frame that feels too short. Yet, just because something is “taught” or covered, does not mean that the students learned. Stephen Covey’s habit of Put 1st Things 1st represents the need to identify what is important and then prioritize it. 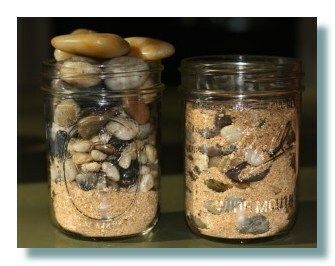 This is best illustrated in the jar of rocks analogy. Short term investment, which may take more up front time, can pay long lasting dividends in the deeper learning that the students experience. If we agree that Differentiation should become a real priority that is implemented, then there are ways to begin the process. Use frequently “wait” time and “think” time so that students have needed time to process understanding. Implement learning stations both physical structures for movement and virtual experiences for more accesses to resources. Use learning profile cards for thoughtful grouping of students around tasks. The answer is obvious: Student. The means to enabling students to be in “full” control relies on teachers willingly giving up control. This is a difficult move when teachers are held accountable for student achievement. Consider the previous statement. Teachers can not take the student assessments for which they may be evaluated by. My nature of students taking those assessments places the teacher’s fate into the learner’s hands. Why not give students overt control of their learning by including them in how they process, explore, and demonstrate what they understand and do not understand? In sports, effective coaches build a team’s confidence to run the game plans on the field. Successful teams understand how to adapt and change as needed to counter the moves of their opponents. The coach can call time outs and offer suggestions, but it’s the players who execute. The same can be said of students. Teachers design the sandboxes, and can let students create their own inner spaces. Standards and curriculum are the frames that teachers use to structure learning so that students feel supported to participate. Include students in determining how some activities will take shape. Having them participate in authentic learning experiences for deeper engagement as the work becomes real world and purposeful. In some learning centers, the students help create their own sandbox or design an entire beach. The best way to face them is to remember that assessments tell what students know and do not know; also the shed light on what students need. Once it’s known what students need to grow, then how we choose to act in meeting those needs requires differentiation. Writing is such an important skill set that requires a combination of honed skills and physical stamina to complete drafts and turn them into published products. Even though writing is an important part of professional life and work, it is likely that many people lack confidence, skills, and/or stamina to write well. This may be equally true in Education. Here are ten strategies to add to your toolbox. If you have some already, then consider this an opportunity to further hone these approaches to improving the writing skills of ALL students. But to apply any of these strategies with effectiveness, the first step is to establish with students that they are writers. 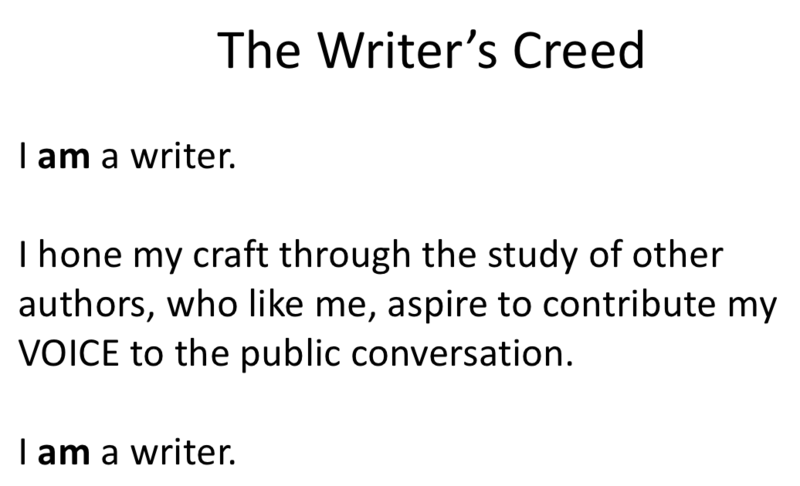 When talking about writer’s craft, frame the conversations and work where students reflect and work “as writers” or “authors”. This culture setting viewpoint is key to student writers coming to the belief that they can write and write well. This strategy helps unlock the inner writer in every participant. The Window Activity uses a picture that contains many details for igniting ideas to write about. This visual strategy helps students explore a theme or concept and immerse the writer with their words. The result are writers having higher confidence in their word-smithing capabilities. More details here. 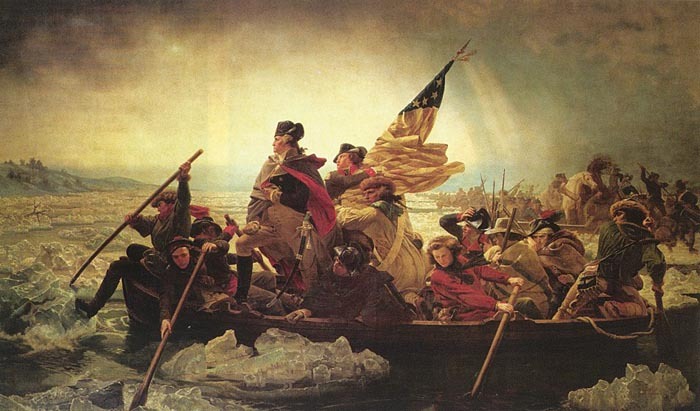 Here’s an example of a picture that could be used to study the American Revolution or to spark a later conversation about such concepts as: revolution, core democratic values, or strategy. More details here based on this article. Consider using the SAMR Model as a guide when using Social Media to support writing and learning. Here is a good image of the SAMR Model. 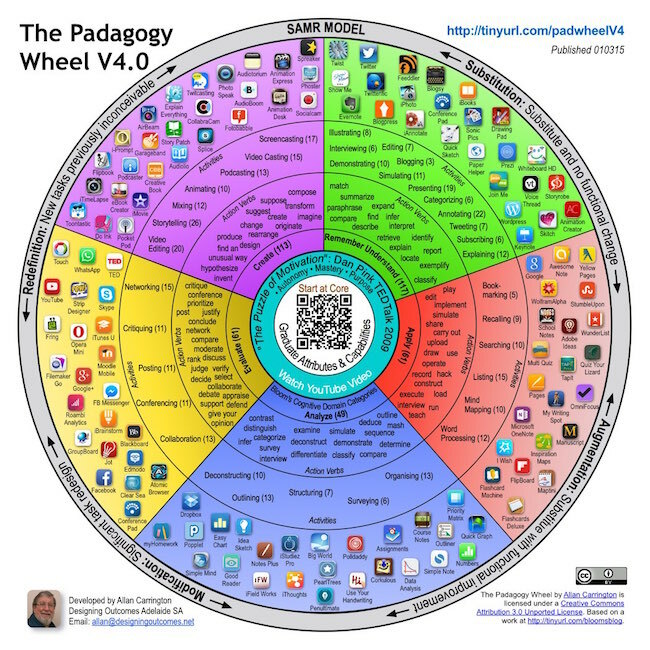 Also, here is a Pad Wheel that connects use of Social Media tools to the SAMR Model. Fastwrites help writers get their ideas down on paper. Consider it a writing sprint. Part brainstorm and part exploration, students are able to unload from their mind the many ideas that peculate consciously and unconsciously. It’s a great way to breakthrough writer’s block and excavate gems of ideas. Freewrites is a thoughtful plodding process of reflecting and expanding on ideas. It works best when there are ideas on the page or images to react about. Freewrite allows writers to take time to simmer and develop ideas. Use a combination of these two strategies to powerful effect. Reading one’s writing aloud helps writers to identify areas for revision and edits. The One-Foot Voice provides concrete steps for coaching students on how to take charge of their self-edits and partner critiques and revisions. The Whisperphone is a tool that studnets can use to reassure themselves that they are the only one who can hear the read aloud. All that is needed is a PVC “C” shaped pipe from a hardware store. Another option is to give students headsets so that they can auto record and then listen to their read-aloud to do the One-Foot Voice. Use Thinkdots to explore author’s craft. This strategy helps students to think deeply about the focused skills such as writer’s Voice. Thinkdots provides 6 different tasks based on learning preferences or thinking styles. Students usually work in teams to accomplish all tasks based on the random order of rolling a die. Here is an overview and template. Virtual dice are a nice touch, especially ones such as this program that allows you to custom the content on each side. For example, put a topic on each side so that students must write about the topic or use the listed part of speech. Role, Audience, Format, Topic, and Strong Verb are what composes a RAFTS. The strategy supports students’ writing as they develop a sense of audience and purpose. Highly engaging and motivating when students have choices of different RAFTS to write about. 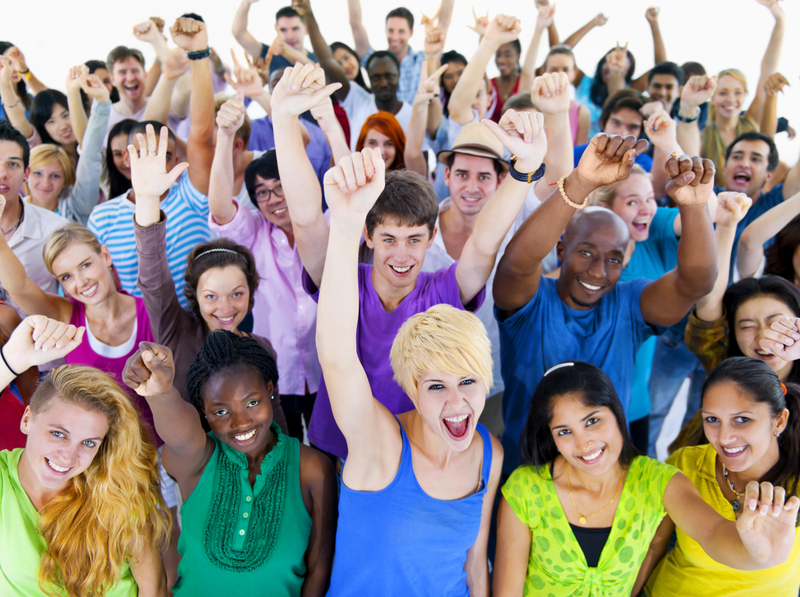 Ways to Empower Student Voices–Now! Student Voice is key to student learning. Think about what motivates you more to learn something. Likely it’s where you have a say in what is being explored and/or how the practices and products will take shape. Our learners are no different. Guides for giving good feedback and using formative assessments are many and varied. Here is a distilled list of articles that create a solid foundation for doing both and extends practice for the veterans who seek to build on what they already do. If you have suggestions for other resources to add, please post in the comments section below. I’ll review and add to this list. These 7 guides are powerful words of wisdom by the late Grant Wiggens. Each key is concrete and impactful on their merit. Bring all 7 into practice and great things happen for student growth. An important consideration for feedback is the learner’s perspective. Jan’s helpful guides address characteristics of effective feedback, and how to provide it so that students are receptive. Feedback is critical. Fischer and Frey offer ways to work smarter, not harder, in a time-efficient manner. The results can be a win-win for teachers and learners. Understand and explore a means for how assessment data can be used to diagnose the needs for struggling and advanced learners. Schools spend a lot of time looking at classroom trends. This formative assessment cycle is a means to also look at personalized needs. Formative assessment is dependent on clean data. This article unpack 3 ways to ensure that formative assessments actually collect what is needed to support students. Read this for dynamic non-traditional approaches to assessments that give all students an authentic chance to show what they know. The article goes beyond traditional assessments to recognizing that learners develop skills and concepts in a variety of ways. Combine formative assessments with high quality differentiation practice through this practical guide. Needing a new assessment strategy to use? Peruse over 53 strategies. There is something for everyone and situation. Last year I wrote for Edutopia a six-part series that’s spanned two months. What a great experience it’s been to share ideas. The response by readers has been amazing. So what follows is that deeper dive, including added resources since the posting of the original article. Here’s an article that goes to the heart of student choice. 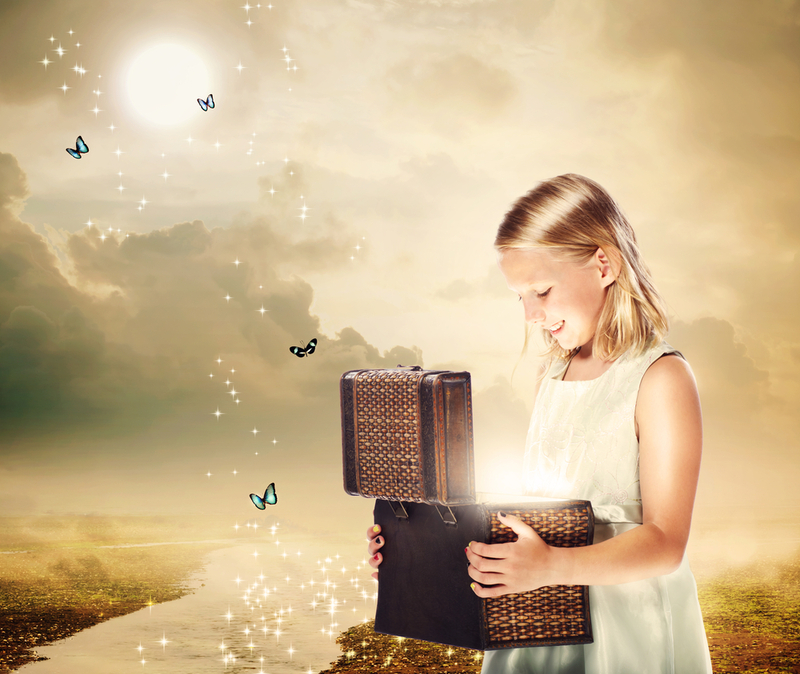 Join me through this blog on Opening Paths, especially the resources and follow me on Twitter @JMcCarthyEdS for open dialog about what our students need, and what we as professional learners can do so that ALL students succeed. Contact me for dialog, coaching, and to inspire your staff along their pathways to helping all students learn and achieve. 6 Good Tools to Differentiate Instruction by John McCarthy, Ed.S. The secret to Differentiated Instruction is that there is no such thing as “differentiated strategies.” Yes, there are sites and books that promote lists of “differentiated strategies,” and what is provided are tools to use in classrooms. The problem comes when those resources are placed in the hands of well-intentioned educators who are looking for a plug-in to make their lessons better for all students, but perhaps lacks an understanding the differentiated instruction is based on good classic instructional practices–something I address in an Edutopia article and on this blog regarding the Formative Assessment Cycle. Use formative assessment data to diagnose learning gaps and needed higher challenges, and craft learning experiences using the various strategies in your toolbox. 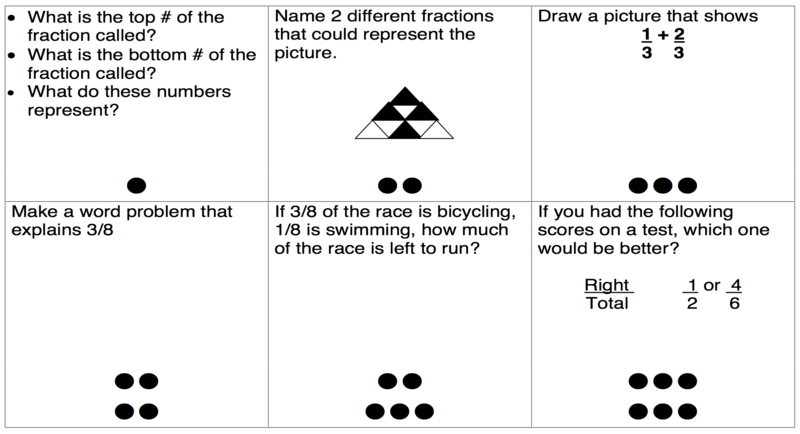 This strategy offers 6 activities that students must complete. Each activity is best structured around a learning profile, so that learners explore the concepts from different perspectives. Students roll a six-sided die to determine the random order that the activities are completed. For example, if a 5 is rolled first, then the 5th task is completed. Then with the next die roll of a 2, the second task is worked on. This process continues until all assignments are completed. Note: For schools that ban dice either use a randomization cube or have students pick the order in which the activities are completed. Here are some examples + template. Make two or more versions of the Think Dot to address content at different readiness levels. Now it targets students grouped by those with common skill gaps and those needing greater challenge. As a cousin to Think Dots, this strategy places activities on laminated index cards. Punch a hole into the cards and placed them on a circular keyring or lock carabiner. Where Think Dots are usually in sets of 6, Task Cards can be made of any number that the teacher needs for the learning activity. No dice required. Students go through the tasks in order or randomly based on teacher directions. Appetizers are 2-3 options that students choose from to do as a warm-up activity. Main Dishes offer 2-3 options. These may be structured to allow students to pick from, or be assigned to groups of students based on their readiness needs (skill gaps and need for greater challenge). Desserts give learners 2-4 options to extend their learning. Not all students finish their main dish with enough time to have dessert. Those who do finish their meal with time to spare choose from the dessert options as fun activities that provide greater challenge–appropriate to their readiness level. Desert keeps everyone on task during the remaining work time. Curry School of Education (Charlottesville VA) offers a great resource. The Teaching Channel offers a video. Students choose which stations to complete such as 3 of 5 or 4 of 6. Students complete tasks based on their readiness level. Each station has two or more folders that are coded by color or some other symbol. Students open the folder that matches their assigned color or symbol. Use a different coding each time so that students do not feel pigeon-holed in on specific category. Do a combination of the two options above. Here’s a video that provides more details. Also more resources are on my Edutopia blog about Readiness. This strategy looks at a concept in four different ways. This example has non-traditional topics for a Frayer Model to illustrate how the 4 options can challenge learners to think about a concept in unique ways. Here is the frayer model template. Typically this strategy is used for vocabulary building. What are some of your favorite strategies that when differentiated helps students? Guest Blogger, Telannia Norfar is an exceptional teacher of Math. She helps students understand math by using a variety of perspectives that truly differentiates instruction so that all can learn. She currently resides and works in OK. She also works with schools nationally on project-based learning. Follow her on Twitter @thnorfar. Here is her assistance with examples of apply Linear Equations to Authentic Learning Experiences (ALE). Linear equations is a very common real-world topic. Solving equations takes some creativity. However, graphing and writing a linear equation is easily accomplished in a PBL. The type of project you can do with this topic is wide. Any time there is a consistent addition pattern in life than you can make a PBL based upon linear equations. The success of it will depend on the interest of the students. Below is a description of three projects I have done that all have to do with linear equations just taken from different angles based upon my outcome. This project I have done the most over the last five years. The project idea is that the students are helping the PTA be educated on how to select the best cell phone plan. Students analyze a cell phone bill to create a linear equation of how to calculate the bill. Students then move to analyzing different cell phone plans by creating a table, equation and graph of the plan. Students then compare the different plans to help them discover which one is the best for a family needs. The project (or ALE) concludes with students creating a brochure that explains how to analyze a cell phone plan and graphs of what the students have discovered is the top ones based upon family needs. Here is a link to my dropbox where all of the materials I have used over the years for this project. I have only done this project once because I no longer teach Algebra II. The focus in this project was to understand systems of equations. However, you can make the focus on linear equations. Students created equations of the various costs associated with attending the fair (examples include admission and rides). Students then graphed and created tables of the equations. Students analyzed when was the cost the same as well as what it meant before and after the intersecting costs. This does not have to occur if you are focusing on linear equations only. Here is a link to my dropbox where all of the materials I used for this project. The final idea I have to share is related to a project (ALE) I did with a middle school 7th grade class. The focus of the project was slope only but students did unknowingly learn about writing and graphing linear equations. The school had a dance they held every spring as a fundraiser. The principal commissioned the class to offer suggestions of what items they could sell at the dance to increase their profit. Students offered suggestions in the form of graphs and tables to show how the profit could be obtained compared to the items sold. 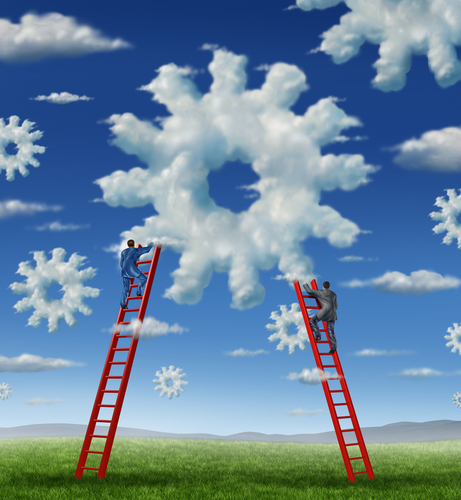 Getting Students Excited for the New Semester: Use These 11 Online Tools! Here is a Guest Blog by the talented Julie Petersen. The topic is timely with rich resources to meet any classroom teacher looking to expand their practice for meeting learner needs. When your students get back to school after a long summer of relaxation and fun, they are not exactly motivated to study. The summer slide is a serious problem, so all teachers need to learn how to deal with it. Instead of forcing the students to write tons of homework and frightening them with low grades, you should find a more creative approach. The following 11 tools will help you inspire K-12 students to get back on track at the beginning of the new school year. You’ll discover tons of educational videos, games and lessons for K-12 learners. It’s important to add some fun into the teaching process; otherwise the entire class will be too bored to think about the concepts you are trying to explain. When you infuse some quizzes, interactive diagrams, vocabulary games, and other activities into the practice, everyone will be able to see how theory works in practice. NeoK12 provides resources in the following subject areas: math, social studies, life science, physical science, geography, human body, English, history, and more. This is one of the most effective tricks for making math and reading fun for young students: tell them to play games at Funbrain. The games are listed in four categories: math, reading, fun, and playground (featuring various games for parents and kids). All these resources are appropriate for the classroom. The Funbrain Game Finder will enable you to find the perfect games for your students. You have a responsibility to teach your students how to craft papers and motivate them to approach the academic writing process with enthusiasm. Try using this online resource in the new semester, so you can show awesome samples of unique content that will present academic style from a different angle. You can collaborate with writers experienced and educated in different areas of study, so you’ll always have an appropriate paper to show as an example to your students. The blog section will help you find ways to inspire your students to write more. PowerMyLearning is the perfect resource that will help you implement blended learning into your classroom. You can create a playlist of digital content, add learning activities and include formative assessments. Then, you can monitor the learning process and provide your students with feedback through the same platform. When you start relying on this tool, there will be much more time for evaluation, discussion, and practical implementation of knowledge in the classroom. The mission of the Annenberg Foundation is to advance the teaching practices in American schools through multimedia resources. The organization funds and distributes over 100 multimedia courses and workshops that keep educators updated with the current developments in the educational industry. As a teacher, you can also earn graduate education credit through Colorado State University when you use these resources. Textbooks are so overestimated. You can find better, more versatile resources online, but you need to know where to look for them. Know It All is an educational portal that lists a collection of interactive websites that make learning fun for K-12 students. Don’t limit your search to the featured sites; this online resource is full of information and tools categorized by grade level and subject. You always wanted to infuse some George Lucas wisdom into the classroom? Edutopia is your chance to do that without being judged by supervisors and parents. Did you know that Lucas was often bored at school? Well, he doesn’t lack creativity, so he managed to find a way to make knowledge more fun and engaging. Edutopia enables teachers to apply innovative methods for making K-12 students more productive learners. This online community will teach you what approaches work and what you should avoid in K-12 education. The core strategies emphasized at the website are: project-based learning, educational leadership and teacher development, comprehensive assessment, social and emotional learning, and integration of technology into the learning process. Before you ditch this website because it lacks an appealing design, you should test at least one of its resources. First, you’ll need to choose a grade and identify your role (the offered categories are teacher or tutor, parent or guardian, and students). Then, you should choose one of the following options: classroom in a public school, private school, or tutoring. There are few more steps: the tool will ask you if you want only worksheets, or you prefer getting access to games, online activities, worksheets, and more. Once you join the website, you’ll find tons of resources that are ready for use in the classroom. This online tool enables you to turn your PowerPoint slides into actual e-learning courses in a matter of seconds. You can publish these materials online and enable your students to access them at home. That will add a great value to your course, since the students will already be aware of the concepts before you start presenting them in the classroom. Take your time to explore the tools offered by ClickClass; you can enrich your materials with interactive quizzes, discussion boards, videos, downloadable documents, and more. This online project reminds you that being a kid is all about having fun and learning about the life that surrounds you. Teachers tend to forget the importance of childhood experiences, so they force their students to memorize irrelevant information. Light Up Your Brain contains brain-stimulating games that teach valuable lessons through fun. You can listen to audio stories and music in the classroom, play educational games and watch videos. There is also a coloring section with great images. This online domain enables teachers to store, categorize, and rank the best educational videos for K-12 students. The Internet is an immense source of visual data, but that doesn’t mean you can easily decide which video to show in the classroom. This website makes that part of your job easier. All videos are assigned into proper categories. The reviews will help you decide if a particular video is a good choice for your students. All resources are classroom safe! 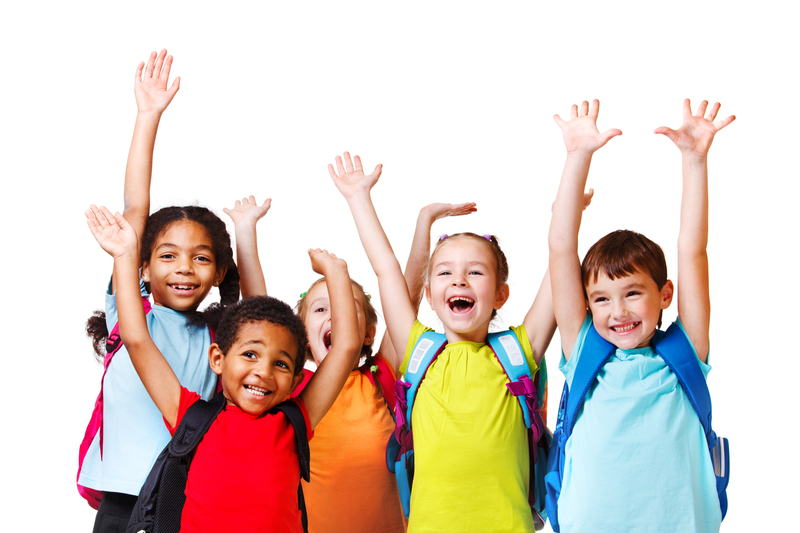 When you add a certain level of fun and amusement into your teaching approach, you students will be glad they are back to school! How do I meet the needs of students who are at different skill levels? How do I keep my advanced students from getting bored with the extra work I assign them to keep them busy? These resources are also helpful to the learner who needs more support as well. If I can give you one piece of advice for where to start, it would be let formative assessments guide you. Formative assessment data helps make supports and coaching more strategic and specific. Here’s one model for using: The Formative Assessment Cycle. Step 3 is the place that’s often overlooked, and yet it is the heart of any learners success. There is more that can be done. Going back to formative assessments, you’ll find that when you create differentiation ahead of the key lessons you’ll have a faster response to student needs. This improves over the years as you teach certain units several times and learn where the challenge points or crossroads exists. If you want more please let me know. Here is an article list of my writings on the topic of Differentiation. My book come out in late 2016. I’ll keep you updated. Would love to know what you think about these resources as meeting your needs–and questions that they might spark. Please post your thoughts below. Much of my work depends on public speaking. It takes on many forms including conducting workshops, keynotes, teaching students, and presenting at meetings for school boards and other stakeholders. We all know that the skills for public speaking are NOT finite. There is a continuous honing and crafting. Steve Jobs, a former CEO of Apple, remains a standard for gifted presentations even after he died. Much has been written about Steve Jobs’ presentation skills. The most important lesson from his is preparation, preparation, preparation. Another standard for amazing presentations are TedTalks. What follows are four resources that can support our continuous skill development for public speaking, and ideas to use to teach and inspire students to elevate their presentation game. Burt Helm offers insights for giving a great TedTalk that is both specific, doable, and affirmational. Anyone can do, and should do, what he suggests–not just for TedTalks. His ideas are a good frame for researching other links on good presentations, including the ones that follow here. Sam offers concise ideas on 7 steps for preparing a dynamic presentation. The points made go to the heart of what makes a presentation engaging and connected to an audience. There are a couple TedTalk videos used as exemplars. Five videos anchor the 5 points made about presentations. The videos are annotated for what they demonstrate. The author leaves some of the connecting of dots for dynamic presentations up to the reader to figure out. Of course, TedTalk offers it’s own guide for applying to speak at one of their venues and what goes into a TedTalk. Before Public Speaking is a playlist of TedTalks on various public speaking topics.